This physical therapist assistant degree offers a hands-on experience to students in order to prepare them for a career as a PTA. Physical Therapist Assistants (PTAs) work closely under the supervision of Physical Therapists to help people improve their physical capabilities. In less than two years, you can earn your associate degree and make an immediate difference in persons' lives. During your PTA education from Nebraska Methodist College, you'll learn to provide care specified by a Physical Therapist. This can include physical exercise, education and the use of special devices or technology. Your goals will be to help patients manage pain, increase mobility and achieve a better quality of life. CAPTE-accredited Associate of Science degree program that can be completed in 21 months. Combines 710 hours of clinical experience with hands-on classroom instruction. Clinicals are located in the Omaha metro area as well as surrounding communities. Utilizing state-of-the-art equipment, students learn how to teach movement, strength and coordination exercises; train patients to use crutches, canes and walkers; administer massage therapy and use ultrasound and electrical stimulation. Students must earn a total of 75 credits for this degree program. 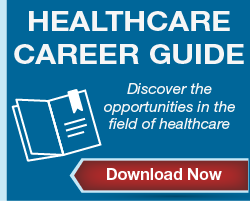 How much does a physical therapist assistant make? The Bureau of Labor Statistics indicates the U.S. median physical therapist assistant salary in May 2015 was $55,170 per year or $26.52 per hour, with a much faster than average projected job growth of 41 percent between 2014 and 2024. Read more about a day in the life as a PTA on the APTA career page. PTA Versus Physical Therapist: What's the Difference? Graduates are prepared for an entry-level physical therapist assistant position and to sit for the national certification examination through the Federation of State Boards of Physical Therapy. NMC PTAs have an overall pass rate on this exam of 100% over the past six years. Graduates are also required to pass a state licensure exam in most states. All physical therapist assistants must work under the direction and supervision of the physical therapist. An individual who works as a physical therapist assistant in a jurisdiction where licensure or regulation is presently unavailable is required to be a graduate of a physical therapist assistant education program accredited by CAPTE. 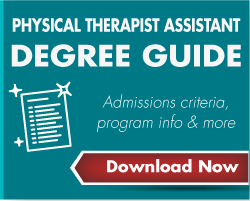 The Physical Therapist Assistant Program at Nebraska Methodist College is accredited by the Commission on Accreditation in Physical Therapy Education (CAPTE), 1111 North Fairfax Street, Alexandria, Virginia 22314; telephone: 703-706-3245; email: accreditation@apta.org; website: http://www.capteonline.org. If needing to contact the program/institution directly, please call 402-354-7104 or email Shannon.Struby@methodistcollege.edu.